As we wrote this past Saturday in our post about the excellent Austin seven-piece Black Joe Lewis and The Honeybears, throwback soul and funk bands are the latest rage. One man you can thank for the soul-funk revival is tonight’s Showbox headliner, Raphael Saadiq. He is another act that fits into that statement and fits firmly in the R&B and soul side of the spectrum. Unlike many of the other groups in the revivalist funk/soul/R&B spotlight these days, Saadiq’s career spans back to the mid 90’s and includes a dozen Grammy nods with a win thrown in for good measure. 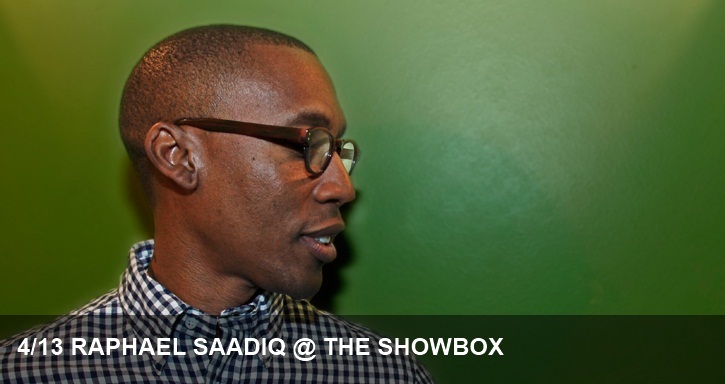 If you’re a fan of Saadiq’s smooth sounds, head to Showbox at the Market for a night you won’t soon forget. Raphael Saadiq – 100 Yard Dash from Perception on Vimeo.